Game Night is not the greatest comedy in the world, but it has a great grasp of the ingredient that makes comedy work, identified centuries ago as brevity. The movie runs a sensible 93 minutes, making it a kindred spirit to Sally Potter's The Party, also opening today and also a movie about a couples gathering that disintegrates into armed chaos. The Party is only 71 minutes – together they aren't as long as a Michael Bay movie. And, even better, contain no robot fights. All fights involve humans, and most occur within the confines of marriage. Game Night stars Jason Bateman and Rachel McAdams as Max and Annie, a suburban duo whose lives revolve around weekend parties with other couples – activities include charades, Monopoly, etc. For Max, the games are an outlet for the competitive edge he developed during his formative years of sibling rivalry with his older brother, now a successful hedge funder (Kyle Chandler). The old rivalries resurface and intensify when he shows up and usurps game night, inviting all couples (Billy Magnussen, Sharon Horgan, Lamorne Morris, Kylie Bunbury) to his swanky showcase home, introducing his own one-percenter's version of a parlor game – he's hired a company that specializes in staging fake crimes (in this case a kidnapping) and the guests are tasked with solving the crime. Of course, real crimes become mixed with fake, and in the ensuing confusion the couples use their skills to extricate themselves from a situation that grows increasingly frantic/comic. All of this gives the actors a chance to do what they do best. 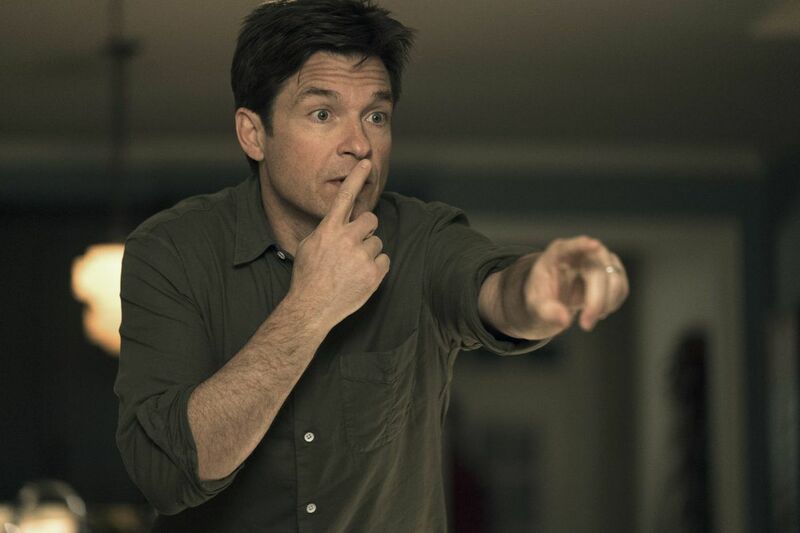 Bateman's under-his-breath wisecracking works best when he's returning a serve and fending off jokes at his own expense, as seen on a visit to a fertility specialist (Max and Annie are angling for children), where he endures escalating humiliations during a clinical discussion of his substandard sperm motility. McAdams deploys her dazzling smile and world-class dimples, used ironically and effectively in a scene that has her character brandishing a gun she does not know is real. Other actors get to play off their images. Jesse Plemons gets laughs as an alarmingly stoic next-door neighbor who chafes at being excluded from game night, resentment that plays a role in later scenes. The actor looks happy to be part of something that is not an existential hellscape (Breaking Bad, Black Mirror, Black Mass, Hostiles). Ditto Jeffrey Wright, on loan from the mopey Westworld. Directed by Jonathan Goldstein, John Francis Daley. With Jason Bateman, Rachel McAdams, Kyle Chandler, Jesse Plemons and Jeffrey Wright. Distributed by Warner Bros.